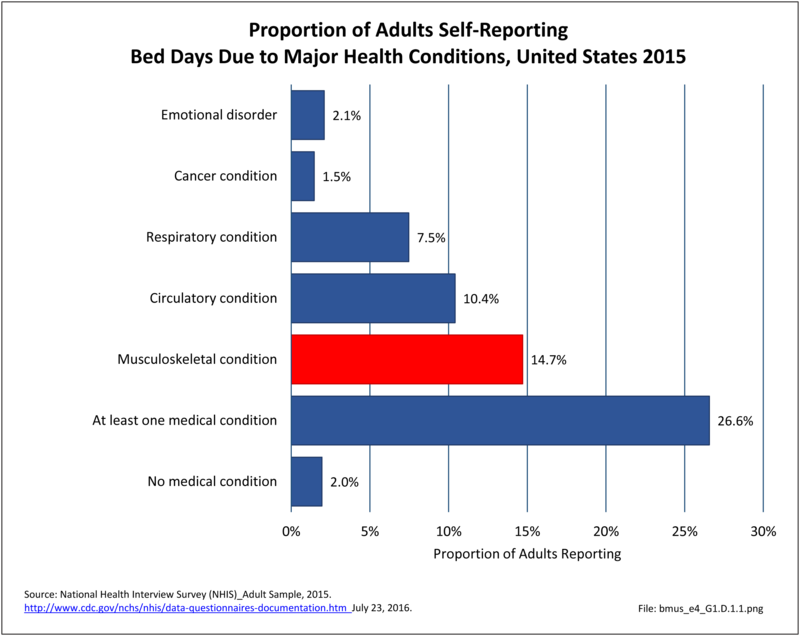 More than one in four adults in the population (27%), a total of 54 million, reported at least one bed day in the previous 12 months because of a medical condition. More than one-half (14.7%) reported having a musculoskeletal condition, more than reported any other condition. Respondents could report multiple conditions, and bed days could be associated with more than one condition. The mean number of bed days reported with musculoskeletal conditions was 20.4, for a total of 1.1 billion bed days. 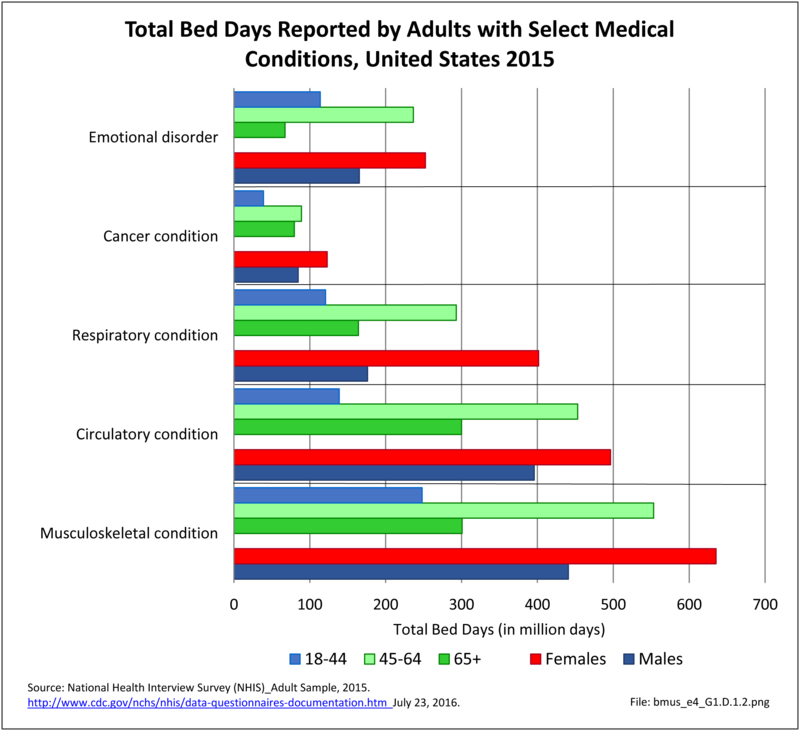 While other conditions were likely the cause of a higher mean number of bed days, the share of the population reporting these conditions was much smaller. Males and females reported a similar mean number of bed days due to musculoskeletal conditions (20 days vs 21 days), however, because more females report musculoskeletal conditions and bed days than males, the total bed days attributed to females is much greater. Adults in their middle years, age 45 to 64, report higher rates of bed days because of musculoskeletal conditions than do adults age 18 to 44 or over 65.